Public Health England (PHE) has renewed its contract with Plymouth University Peninsula Schools of Medicine and Dentistry (PUPSMD) to provide the Down’s syndrome screening Quality Assurance Support Service (DQASS) for its Down’s, Edwards’ and Patau’s syndromes antenatal screening programme in England. The service has been run by staff in the Biostatistics, Bioinformatics and Biomarkers (BBB) group at PUPSMD since its inception in 2006, initially with the Department of Health and then Public Health England. The DQASS team, headed by lead statistician Dr Amy Baker, will be celebrating ten years in operation later this year and will be marking the milestone with a research paper documenting the progress and developments of the screening programme and DQASS over the last decade. 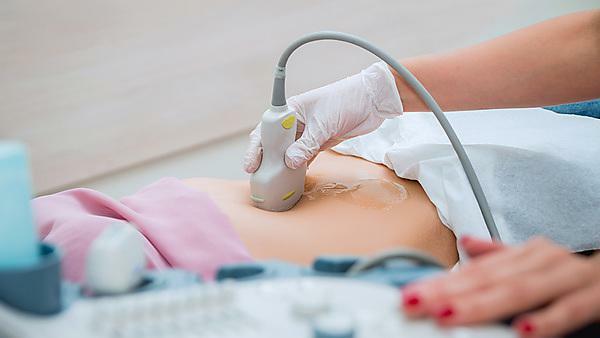 DQASS provides a confidential and independent audit of laboratory and ultrasound data. The service is also provided to NHS Scotland and NHS Wales under the same contract. The primary aim is to improve the risk calculations of Down’s, Edwards’ and Patau’s syndromes by supporting and assisting local screening programmes. This is achieved by monitoring practice and, where necessary, providing advice and support to make improvements in collaboration with the NHS Foetal Anomaly Screening Programme (FASP). All laboratories which contribute to the NHS screening programmes for the three chromosomal abnormalities must submit data to DQASS on a six-monthly cycle for analysis. Currently the DQASS team provides analyses and feedback to 25 laboratories, approximately 200 NHS hospitals and over 3,000 individual sonographers across the UK. Feedback is also provided to a variety of stakeholders. In addition to the risk calculations for Down’s syndrome, the new contract will provide further developments in relation to the combined risk calculations of Edwards’ and Patau’s syndromes. These will be incorporated into current reporting outputs. The team will also work with PHE and NHS FASP to consider future changes and progressions to foetal anomaly screening, such as work to support the introduction of non-invasive prenatal testing.